Back in 2006, I was on the jury for the Royal Television Society awards, in particular I was helping to judge the best Science & Natural History documentary. One of the entries was the Channel 4 film BRAINMAN (aka The Boy with the Incredible Brain), which told the story of Daniel Tammet, a savant with an incredible memory and language abilities, and who could perform complex mental calculations. You may well be aware of Daniel, who has been interviewed by the likes of David Letterman and who published a bestselling book titled “Born on a Blue Day”. His skills are remarkable because he claims that they are somehow innate and partly reliant on his synaesthesia, and not the result of clever tricks and lots of practice. For example, his talent at mental arithmetic is amazing, but it is shared by many other people around the world – what makes Daniel special is his claim to be able to do mathematics by looking at the shape and colour of each number. When multiplying two large numbers, Daniel imagines the shapes of the two numbers, and the answer corresponds to the shape that sits between the first two shapes. Moreover, shape supposedly helps Daniel spot any prime number below 10,000, because primes are apparently soft and round, like pebbles, whereas the so-called composite numbers are jagged. When judging the prize, I was out of step with my fellow jurors, as I had serious reservations about the film. Was Daniel really a savant? A one-off? A scientific wonder? Or was he just like the other elite brain champions, who spend years developing their skills and who rely prosaic techniques. At the end of a lengthy discussion, everyone except me felt that BRAINMAN should win the prize. I asked for additional time, so that I could go away and research the topic further. Everyone generously indulged me, but it made no difference. A few days later I was still confused and everyone else was still a fan of BRAINMAN, so it won the prize. So why I am blogging about this today? At long last, exactly ten years after the prize was awarded, I now feel that I have a better understanding of what is (and is not) going on inside Daniel Tammet’s brain. 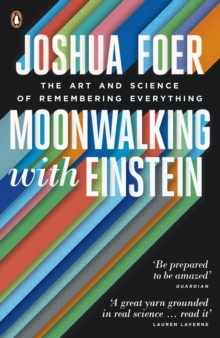 I read a copy of MOONWALKING WITH EINSTEIN (The Art and Science of Remembering Everything), written by Joshua Foer and published back in 2011. Chapter 10 is largely about Daniel Tammet and in particular Foer questions the claims made in the BRAINMAN documentary. I would like to thank Joshua Foer and his publishers for giving me permission to reproduce the chapter (below) about Daniel Tammet, so that you can join me in learning more about Tammet’s largely unknown backstory, which includes a brief stint as a psychic. It is a long read, but fascinating and rewarding. To avoid confusion, it might help to know that the chapter starts with the author’s account of his own journey to become a memory champion, before then moving onto the topic of Daniel Tammet. Also, I have edited out the middle of the chapter, which contained a fascinating detour examining the life of Kim Peek, the savant who inspired the character played by Dustin Hoffman in RAINMAN. You can read the missing section (and the rest of the book) by ordering a copy of MOONWALKING WITH EINSTEIN. N.B. I invited Daniel Tammet to respond to the chapter from “Moonwalking with Einstein”. His comment can be found at the bottom of this page. Joshua and I met on three occasions. On each, I responded to all Joshua’s questions. In addition, I granted Joshua full access to my mother – whose home he visited without me – and permission (required for reasons of medical confidentiality) for him to speak with Professor Simon Baron-Cohen concerning the diagnostic interviews with me and my mother carried out at the Autism Research Centre at Cambridge University in 2004. To my mind, Joshua confuses three different topics which would benefit from being considered separately. One, the mediatisation of savant abilities; two, the scientific and popular accounts of autism and savantism; three, my specific ‘case’. About the first, my second book ‘Embracing the Wide Sky’ (published in the UK and US in 2009) devotes several pages to a critical overview of media representations of savant abilities. And, recently, in my review of Steve Silberman’s book ‘Neurotribes’, published in the March 2016 edition of the scientific journal Brain, I return to this issue. Any suggestion that savant abilities are somehow supernatural or magical is completely unfounded. Joshua raises the question of how to define a ‘savant’. He is right to highlight the debate over definitions in science and popular literature. Asperger syndrome was unheard of as a medical diagnosis when I was growing up in 1980s London; today, doctors recognise an ‘autistic spectrum’, and rates of detection and diagnosis have soared. In this context, the formerly prevalent notion of the ‘idiot savant’ – unsociable, Peter Pan-ish, mysterious – is clearly no longer viable. Joshua is wrong to regret its passing. He affirms that the word ‘savant’ has been drained of its original meaning, that of a sage or scholar. But even a cursory search in the OED shows that ‘savant’ still retains this definition as its primary meaning. In France, where I have lived for the past decade, both meanings are employed freely. A related problem is Joshua’s attempt to compare my case with that of Kim Peek. The attempt is misguided, since Peek wasn’t autistic (he was born lacking a portion of his brain). To try to compare autism – a developmental condition – with a severe cerebral malformation like Peek’s makes no sense. Which brings us to my specific case. Autism spectrum disorders are genetic in origin. My early childhood seizures; my father’s schizophrenia; my paternal grandfather’s epilepsy (for which he was institutionalised); and, my younger brother Steven’s Asperger syndrome diagnosis, are all matters of public record. It is regrettable that Joshua omits them. Regrettable, too, is Joshua’s failure to mention research that showed that, on the Navon Task, my split-second perceptions were consistent with high-functioning autism: quicker than non-autistic controls at identifying a visual target at the local level, and less distracted by interference at the global level. Moreover, social service reports concerning my family – dating back to my early adolescence, and released to me only in the past few years – provide documentary evidence of my developmental history. These records are presently in the possession of Professor Baron-Cohen at the Autism Research Centre. Also held by the Centre are the full data from my performance on Professor David Eagleman’s Synaesthesia Battery Test, conducted in 2011. This test, unavailable at the time of my first testing in 2004 and 2005, is specifically designed to distinguish synaesthetes from non-synaesthetes who use memory or free association. On both the scores of consistency, and automaticity of synesthetic sensations (evaluated by high accuracy on a speeded consistency test), I passed. It is important to add that Joshua did not participate in any of the scientific testing involving me. He claims that I responded differently to the same number (9,412) during our various meetings, but these meetings were informal and the number each time given verbally (in actual testing, stimuli are always presented visually to avoid mishearing or variant pronunciations). Responding, for example, to someone saying ‘nine four one two’; to ‘ninety-four hundred and twelve’; and to ‘nine thousand four hundred and twelve’ would produce different answers. Similarly, Joshua draws an overhasty (or pre-made) conclusion when he discusses my impaired ability to recognise faces. He refers to a scientific test which demonstrated this impairment, and contrasts it with a sort of public memory game on which I performed well several years prior to the testing. But, again, Joshua compares two very different things. Unlike the test, the game only required participants to form a mental link between a made-up name (presented under each photo) and a salient detail in the photo (an eyebrow piercing, a spotted bowtie, an item of furniture in the background, etc.). The game actually favoured detail-oriented perception such as mine. I conclude with a comment made to me by the neuropsychologist Charles Leclerc at the University of Ottawa. For Leclerc, what researchers (and my readers) find most interesting about my life and perceptions is not any one particular ability (indeed, some learn to do mental sums much more quickly than I ever could, or speak more languages, or remember more digits of pi, etc.) but rather how generalised my abilities are. Like many adults on the high-functioning end of the autistic spectrum, I have learned to adapt socially. I have also learned to write. Alongside my non-fiction works, articles and poems, I have produced a collection of literary essays (‘Thinking in Numbers’), translated into French the poetry of the Australian Nobel Prize in Literature candidate Les Murray and, last month in France, published ‘Mishenka’, my first novel. This entry was posted in Blog on April 7, 2016 by Simon Singh. Overseas translation of my books in return for £20 donation to a good cause. 5 Basque translations of The Code Book. Then, after the book has safely arrived, please donate £20 to Schistosomiasis Control Initiative. This entry was posted in Blog on September 17, 2012 by Administrator. The homeopathic community is unhappy about my complaint and the BBC’s sensible response. One homeopathic website has now started a campaign to lobby the BBC to change its position. The site encourages people to write to the BBC, complain to MPs and contact the press. To balance and hopefully overwhelm the homeopathy campaign, I think it is important that the BBC realises that there are lots of people opposed to pseudoscience and who support BBC Radio Surrey & Sussex’s decision not to promote pseudoscientists as experts. Rather than bombarding the BBC with emails and letters, please scroll to the bottom of this page and leave a comment. I will forward the list of comments to the station manager at the end of the week. If you want to read more about what happaned, then you can read an account of my original complaint to the BBC here and you can visit the homeopathy campaign page opposed to my complaint here. This entry was posted in Blog on July 31, 2012 by Administrator. Good to see lots of comments after my blog “ Why I hate Lab in a Lorry & the Einstein Ballet“. Perhaps I should start by making two further points. 1. My main criticism is with funders, not with those who actually conduct the projects. Lab in a Lorry might be conducted with enthusiasm and skill by highly motivated and knowledgeable people (including volunteers), but if the running costs of the project are astronomical then it remains a poor project. The problem resides not with those running the project on the ground, but those who commissioned it and who continue to fund it from on high. Similarly, I am not blaming sponsors, who are trying to support science with hard cash or resources. I am blaming those who spend that money and use those resources. As I have said before, I might be wrong, in which case I am keen to see the analysis, formal or informal. 2. There are good science engagement projects. Richard Wiseman’s videos cost virtually nothing, yet they are witty and thought-provoking. Take a look at Top Ten Quirky Science Tricks for Parties, which has over 5 million hits. Or listen to the Pod Delusion, which reaches 10,000 people every week. The audience includes many non-scientists, because of the podcast’s mix of content. It’s run on a shoestring budget and would probably benefit from some support. I helped start the Undergraduate Ambassadors Scheme, a credited undergraduate degree module that currently operates in over 100 departments around the UK and which sends over 1,000 undergraduates into schools each year. At the moment, as far as I know, it runs on about £5,000 per year. It does require lecturers to devote time to it, but they are involved because the module helps them achieve an important goal, namely graduates with transferable skills. I am also closely involved in the Enigma Project, which takes my Enigma to schools in order to explore maths and its links with history, technology and, of course, codes. It ran over 100 events last year, half of which were full day workshops, and it reached 12,000 students … and it operates at a profit, including the loan fee for the Enigma. I am also impressed with the various activities at the maths and computing departments at Queen Mary, University of London. Anything involving Matt Parker seems to be priceless, yet relatively cheap. Maths Inspirations is also worth a mention. It lacks anything innovative, flashy or stylish, but it delivers inspiring maths lectures to students in large numbers. It mimics the sixth form study day format, which is known to be profitable and appreciated by teachers, but it makes the format more affordable and transportable, so that the lectures range from Kent to Durham. It baffles me why learned institutions have not jumped on this idea and created Physics Inspirations or Chemistry Inspirations or Science Inspirations. I am still hoping for a response from the people behind Lab in a Lorry or the Institute of Physics. I would be delighted to receive a robust defence of the project, which showed that is actually excellent value for money. I am often grumpy and critical, but I prefer being happy and impressed. In the meantime, here is my best effort at addressing as many as possible of the existing comments on the blog in 30 minutes. You criticise my use of the word ‘hate’. Happy to change it. I have put in a holding phrase. Let me know the most appropriate word or phrase and I will update it. The word was partly put there to generate interest, and it was partly put there because it is not far from how I feel. Physics education in the UK is in a terrible state (is the word ‘terrible’ ok? Probably not. Sorry) and it makes me sad and angry when I think money is being wasted when it could be spent on trying to fix the problem. I agree that it is hard to measure the impact of a project and even to assess its real cost. However, if the goal is clear (e.g., improve take up of A level by A and A* GCSE students or increase positive attitudes towards science among parents), then it should be possible to assess projects. In particular, if £1 million (fair guess?) has been spent on Lab in a Lorry, then the organisers ought to be able to give some idea of the impact, particularly if it is being run year after year after year. I have sat in meetings where we have discussed the assessment of Lab in a Lorry and other engagement projects, and my recollection is that the level of scrutiny is poor. There seems to be an understanding that nobody is allowed to say anything too critical, because after all people are doing their best. If absolute measurement is hard, then organisations should at least be able to rank their projects in relative terms, so that top projects can be expanded and bottom projects abandoned or revamped. One approach would be to have an independent panel assess science engagement projects. Experienced and successful science communicators have a good nose for what works and what does not. This is far from ideal, but I think it would filter out the worst projects sooner rather than later. By the way, I don’t think I am arguing just that some projects are a bit below par, but rather that some projects are far below par, inasmuch as they are hugely expensive and not having nearly the proportionate impact. So do I. My point is that I often see innovation for innovation’s sake. “Let’s make it interactive”. “Let’s give the audience buttons to press”. “Let’s do it through mime”. “Let’s present it in Esperanto”. “Let’s turn it into a ballet”. It was commissioned by the Institute of Physics. I don’t know how much was required in terms of IoP money or sponsorship, but I am arguing that the money could have been better spent. Perhaps I am wrong. Ultimately it is up to the members of the IoP to judge if their money is being well spent. Lots of people are bored by physics and lots of people are bored by ballet, so IMHO this project merely allowed people to be bored more efficiently. Maybe Lab in a Lorry is cost-effective in that area of the UK. I certainly would not want the money to be spent elsewhere. I just think the money could be spent more effectively and efficiently, even in the Highlands. I am sure that it achieves great things, but could those great things be achieved in cheaper ways? Perhaps the project could then be run twice a year. How about trying to work out the full cost of the project? You say “expensive and not cost-effective” are the same thing. No. Sorry if it was not clear. I don’t mind if projects are expensive as long as they have a huge positive impact, which then makes the projects cost-effective. As with Time Truck, I am sure that it achieves great things, but could those great things be achieved in cheaper ways? Lab in a suitcase? Having spoken at maybe 20 pubs, I think one third of the audience is made up of non-scientists, eg. partners, friends, curious folk. But it would be interesting to do a survey. Perhaps all the pubs could pick a month (October?) and ask how many people in the audience have a degree in science or engineering or maths? In any case, it does not really matter. Skeptics in the Pub does not take money from anyone, so it can do whatever it wants. My concern is with projects funded by research councils or other public bodies. There is a limited (but not insignificant) pot of money for UK science engagement, and I am asking if it is being well spent. Fair point and I talk a bit about this in response to Roland Jackson. However, the problem starts even before assessment. I sometimes wonder how some of these projects get funded in the first place. You ask for help running Cambridge Skeptics in the Pub. This entry was posted in Blog on July 19, 2012 by Administrator. I published a blog on 15 July, 2012: Two Questions for Monty Don About Organic Farming. If you visit the blog, then you will see that the 15th comment is a response from Monty Don. I have also pasted it below. Unfortunately, he has chosen to ignore all of my points and questions. If I was a member of the Soil Association, then I think I would be disappointed that my President decided not to engage in discussion. Instead, he suggests that I am incapable of understanding the issues surrounding organic farming because I am not “temperamentally and intellectually suited”. I have heard similar comments from homeopaths, who feel that I am not qualified to write about or criticise homeopathy. Indeed, homeopaths and organic farmers seem to have lot in common. Remember, the Soil Association supports homeopathy and many organic dairies use homeopathy. So, where do we go from here? Well, here is my invitation to Monty. Monty, I am disappointed by your lack of a serious response to my blog. This dialogue was initiated by you. You tweeted me, not vice versa. You tweeted and accused me of being “pathetic”, “mischievous, ridiculous, truly unhelpful”, “plain silly” and “silly” again. I offered to talk on the phone, as yet no response. I wrote a blog in order have a more mature discussion, but you have not addressed any of the points that I have raised. 1. We all turn up with an open mind. 2. We all argue our points, discuss the issues and ask/answer questions. 3. We all leave as friends. You can contact me via https://simonsingh.net/contact/ to arrange a date. If the first dinner goes well, then we could continue with homeopathy and then GM as separate dinner topics. Or, if you want to change the order, we could start with homeopathy or GM. It is helping no one by reducing this to itemised point-scoring. Surely the idea is to understand what is happening rather than prove things right or wrong? Suggest you inform yourself a lot more before taking this any further. If you are genuinely interested in understanding what it is all about start by reading Michael Pollan, Colin Tudge and Rob Hopkins. No specific scientific work so you may not feel comfortable with it but very good cross section of the field. Importantly it is not a contest or case of anything being right or wrong. It is all about everyone concerned joining thoughts, practices and concepts to nurturing and sustaining all forms of life – and humans not least – as successfully as possible. That begs a thousand questions rather than trying to pick holes in one or two issues. If that looks as though I am dodging your questions then so be it – and in a way I am because they are not sensible out of the context of the much bigger picture and I hate the idea of point scoring on something as important as this. This entry was posted in Blog on July 17, 2012 by Administrator. In relation to fruit and veg, one of the main reasons for the growth in the market for organic products is that the public believes the produce is healthier, safer and more nutritious. However, according to the Food Standards Agency (2009) and the Research Institute of Organic Agriculture in Switzerland (2009), the overall balance of evidence does not support this view. Personally, I suspect that organic food is less healthy. I probably prefer the risk of pesticides traces rather the risk of bacteria traces, but let’s just assume that the price premium on organic does not buy any health/safety bonus. Another reason for the growth in the organic fruit and veg market is that the public believes that organic is good for the environment, and that the UK would be a better place if crop production shifted from modern intensive farming to organic. I will return to point (2) later and challenge it, but, first, this is what happened a couple of days ago to trigger this blog. This tweet challenges point (2), which I stated earlier, which is that organic farmers claim their way of growing crops is better for the environment. Mark’s counterargument is that organic must be bad for the environment if crops require, let’s say, 25% more land to generate the same yield. @TheMontyDon come on Simon, you can do better than that. That is just pathetic. That struck me as somewhat harsh and rather lacking in a sense of humour, so I tried to engage with Monty. We worked together on “Tomorrow’s World” back in 1994/1995 and even went on a filming trip to Australia, and I know he is a decent chap. Here is the twitter exchange that followed. @TheMontyDon come on Simon, you can do better than that. @SLSingh Hello Monty, good to hear from you. What exactly are you objecting too? Very happy to chat on the phone if that is easier. ‏@TheMontyDon Objecting to mischeivous, ridiculous, truly unhelpful remark Simon. Adds nothing to any debate. And I know you as a very bloke. 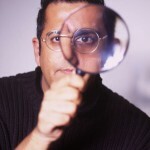 ‏@SLSingh Which tweet? I had a busy tweeting day today. genuinely keen to understand your concern. ‏@TheMontyDon the one about labelling organic products ‘land inefficient’ Simon. Just plain silly. The exchange was a bit more complicated than the slightly edited version above, but these are the main and interesting points. So part of the organic argument seems to be that we should eat less meat to free up land currently occupied by cows in order to be able to grow more organic crops. This would mean that we could feed ourselves organically without having to turn more of the countryside into farmland. That’s a fair point, but it relies on a major change in eating habits. A start would be for the organic movement to stop selling meat, but I think many supporters of organic are not vegetarians. In any case, even if we all eat less meat, then I would argue that we should continue with intensive farming of crops and that any land that is recouped from cows, sheep, pigs and chickens could be used for more intensive farming for export or GM biofuel crops or wind turbines or house-building or returned to nature. Basically, I would argue that the land could be used for anything except inefficient organic crops. I accept that the argument is more complicated than I could convey in a handful of tweets, but I think that my core point (copied from Mark Lynas) is still valid, which is that the public do not realise that if we were to increase our consumption of organic crops, then it would mean turning more of the countryside into fields. I think it is fair to say that we could say goodbye to between 5% and 10% of the countryside if we were to hand over crop production to the organic industry. Finally, Monty, can I ask you two questions? Do you agree with the conclusions of the meta-analysis in Nature (2012), which reviewed 66 studies comparing the yields of 34 different crop species, and which concluded that the yield per acre for organic farming is 3% less for fruit, 11% less for legumes, 26% less for cereals and 33% less for vegetables. So, while organic fruit production is fairly efficient, everything else performs poorly to very poorly. By all means say that there are other factors to be considered when considering organic farming, but was this a good piece of research on the issue of yield per acre? If not, why not? While I have the ear of the President of the Soil, Monty, what is all the nonsense about supporting homeopathy for farm animals? Really? No, seriously, really? Chris Atkinson, your Head of Standards, wrote in 2011: “Encouraging healthy farm animals can be supported by using complementary therapies – which include homeopathy – where these can be shown to be effective.” Please tell me the conditions for which homeopathy is appropriate and the evidence that means it has been “shown to be effective”. You can leave a comment of any length below. By all means add additional detail, but please answer the questions above in (1) and (2). This entry was posted in Blog on July 15, 2012 by Administrator. @BBCSurrey #homeopathy 1pm, until about 1.45pm. I think the tweet was from one of Penny’s fans and was intended to promote her and her radio appearance. This was RT’ed by @lecanardnoir, which is when I spotted it. I decided to investigate further. My correspondence over the next 24 hours illustrates exactly why skeptics/rationalists/scientists need to complain when it is clear that the media is promoting potentially dangerous pseudoscience. This is particularly true in the case of the BBC, which has a responsibility to maintain the standards expected of a public service broadcaster. (a) Penny knows what she is talking about. After all, she has a busy surgery. (b) Penny has a website and is allowed to advertise, so she must be ok.
(c) Nobody had ever complained before. (a) There are busy psychic hotlines, but they are also very dodgy. (b) The Advertising Standards Authority is currently dealing with over 150 complaints about homeopathic websites. (c) I said I would send out a quick tweet to see if others shared my view. slot on@BBCSurrey today at 1pm? Is this the BBC at its best? Yes/No? There were 17 twitter replies in the next 5 minutes, all sharing my concern. I accept that my twitter followers are not a fair cross-section of the British public, but the replies proved that I was not a lone voice/ear. The URL should take you to the start of Penny’s contribution at 1hr 9m 48s. Prompted by callers and emails, Penny talked about homeopathy in relation to gout, multiple sclerosis, high blood pressure, Raynaud’s syndrome, psoriasis, urinary tract infection and back pain following a miscarriage. At this point, I should stress that Penny Edwards seems to have a genuine belief that homeopathy is effective. Sadly, she is wrong. She is merely doling out placebo sugar pills to her patients. Given the producer’s lack of interest in my concerns and the presenter’s apparent enthusiasm for homeopathy, I thought I would complain straight to the station’s managing editor/director, Sara David. Thank you for your email about yesterday’s phone-in with Penny Edwards. I have reviewed the programme and spoken to its producer, and made clear that this was the wrong kind of guest, and the wrong kind of advice, for a phone-in programme on BBC Sussex and BBC Surrey. We will not be giving advice based on homeopathy on BBC Sussex and BBC Surrey in the future. So what can we conclusions can we draw from this? Nobody had previously complained, which is why this had been allowed to continue. So, the only way to stop pseudoscience in the media is to raise concerns (firmly, but politely). Sometimes an informal complaint or a friendly note to the presenter, producer or managing editor is enough. If you receive a sensible response then great. If not, then a formal complaint to the BBC Trust or OFCOM might be necessary. Sara David’s response is very important, as I think it sets a benchmark that other local radio stations now have to match. If you hear a homeopath or any other quack on your local radio station, then please send the station a friendly note. You might even cite Ms David’s response. If that does not work, then submit a formal complaint. Finally, as someone who is campaigning for more free speech (www.libelreform.org), am I being a hypocrite? I think there is no contradiction. If the BBC promotes a homeopath as a health expert, without any critical voice to counter the twaddle, then this is anti-scientific, pseudoscientific and possibly dangerous. Libel reform is about encouraging debate and criticism, it is not about the BBC providing a free platform for deluded quacks to promote potentially dangerous treatments. Of course, homeopathy is harmless, but if patients choose it over conventional remedies, then the issue of patient safety is very real. Ps. Although I love the BBC and worked in the BBC Science Department for five years, complaining to the BBC holds a special place in my heart. One of my first adventures in skepticism was when I complained about a programme that gave a misleading impression of the power of acupuncture. You can find more information about the complaint here. PPs. Well done to @JonMcA who actually submitted a formal complaint about this to the BBC. May not be necessary now, but it might still be interesting to see if the BBC Trust is as unequivocal in its apology as Sara David. This entry was posted in Blog on July 5, 2012 by Administrator. This entry was posted in Blog on May 25, 2012 by Administrator. Why did Psychic Sally lose her powers in September 2011? Yesterday, Psychic Sally (aka Sally Morgan) announced that she is suing the Daily Mail for libel. She is taking action against two articles published in the Daily Mail last year in the wake of allegations made in September that Sally uses an earpiece to receive information on stage in order to help her perform apparent acts of mediumship. Sally Morgan has strongly denied these allegations. You can find out more about the allegations and subsequent controversy in an article by Chris French, and in some blogs by me here, here, here, here and here. With September’s earpiecegate in mind, I went to see Psychic Sally in three shows late last year. Before discussing the content of the shows, I should point out that Psychic Sally was not wearing an earpiece when I saw her. On each occasion her hair was tucked behind her ears. She has admitted to wearing an earpiece in the past (for stage direction only), but even this was not being used when I attended her shows. I found her performances to be very disappointing. Apart from the ethical issues and some distasteful readings (in my opinion), she had very few direct hits and spent much of the evenings struggling to give convincing readings (in my opinion). Her national tour has been a major success with 1,000-seat venues sold out night after night (tickets £20- £25), so I wondered why she was so popular in light of the lacklustre performances that I had witnessed.. Perhaps her current popularity was based on previous success. Maybe her performances had been more impressive earlier in the year. How could I find out if the shows that I had seen were a pale shadow of the sort of mediumship Sally had been capable of in the past? Fortunately, Ticketmaster allows people to post reviews of Sally’s shows (and other shows) on its website. Reviewers can also award up to five stars. So, yesterday morning I looked at all of the reviews for 2011 and worked out the average star rating for each month. Before I reveal the data, I should point out a couple of things. This was a rush job, so it does need to be checked. I have tried to be accurate, but there were lots of shows and reviews to wade through. There are some gaps in the data. This might be because Sally was on holiday and there were no shows, or because shows not sold via Ticketmaster are not reviewed on its site. Technically, I probably should not present this data in a bar chart, but I have already drawn it and this is what the data set looks like. As you can see, fans were much less impressed by her shows at the end of the year. I have shown September as a half-width bar, as all the reviewed shows in September took place in the second half of the month, after the allegations about the earpiece. So why bother with this exercise? First, those thinking about going to see Sally might be interested to know that she is much less popular than she used to be in terms of her reviews. Second, does it throw any light on Sally’s supposed psychic powers? Sally might have been nervous and anxious after the allegations. Critics might have posted fake negative reviews in late 2011 – perhaps encouraged by the publicity. Sally’s powers may have genuinely waned and may continue to wane. Maybe she has lost the knack. Perhaps you can think of other reasons why Sally’s performance suffered from September onwards. This entry was posted in Blog on January 27, 2012 by Administrator. Can you think of a name for my new thing? My New Year’s resolution is to set up a small hub for pursuing and promoting various skeptical activities. In fact, planning is going well and I hope to announce something in late January. However, I still don’t have a name for this entity, so I need your help to find one. 1. This is undoubtedly a skeptical ‘thing’ that is being created, but the word skeptic has pros and cons. 2. The ‘thing’ will act as an umbrella for various projects, so it needs a name that is not too specific. 3. The ‘thing’ will probably have a charitable status, so it could have “Foundation” stuck at the front or end or nowhere. 4. The ‘thing’ will probably interact with grown-ups, so a name that carries some credibility would be preferable. 5. On the other hand, quirkiness is also a good thing. In short, all suggestions would be welcome. Whoever comes up with the winning name will get something nice. This entry was posted in Blog on December 24, 2011 by Administrator.